Pacific Curator Sean Mallon highlights four photographs taken in Olohega in the most eastern atoll of Tokelau. These photos were taken by Thomas Andrew in 1886. He was on the Buster – a ship out of Auckland that travelled through the Pacific Islands for seven months. The Buster called at Olohega (also known as Swains Island) for a day. Frederick Moss, a New Zealand Businessman, politician, planter, and colonial administrator wrote about the stop-over. I’ve drawn from his account in the descriptions that accompany these photographs. Moss described Olohega as a ‘…small coral gem not three miles long and about one mile wide broad.’ In 1856, an American called Eli Jennings had settled on Olohega with his Samoan wife. They established coconut plantations and produced copra and oil for export. When the Buster arrived on Olohega, Eli junior was in charge. His father had passed away about 25 years before. A small group of men from Tanna (Vanuatu) worked with about 50 members of the family on the plantation and drying coconut. The centre of Olohega was occupied by a beautiful saltwater lagoon surrounded by the coconut plantations. Roads ran throughout the island and the coconuts were transported by carts. Eli Jennings travelled around in buggies imported from San Francisco. The Jennings’ house was decorated with handsome furniture and works of art. 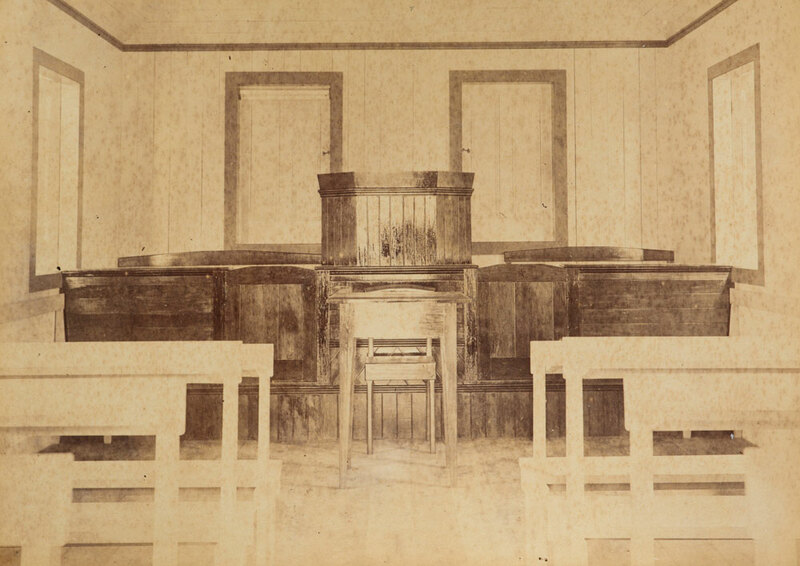 Mr Jennings had built a church and a missionary teacher taught the numerous children. To get supplies, the people on Olohega relied on trading vessels that visited them three or four times a year. They’d often travel to Apia in Samoa as it was a major port. You can see in this last photograph a range of European clothes including long dresses and even a jacket or two. No doubt they came from trips to Samoa or visitors to the atoll. It’s easy to think of an atoll like Olohega, a mere three miles long and a mile wide as being isolated and remote. 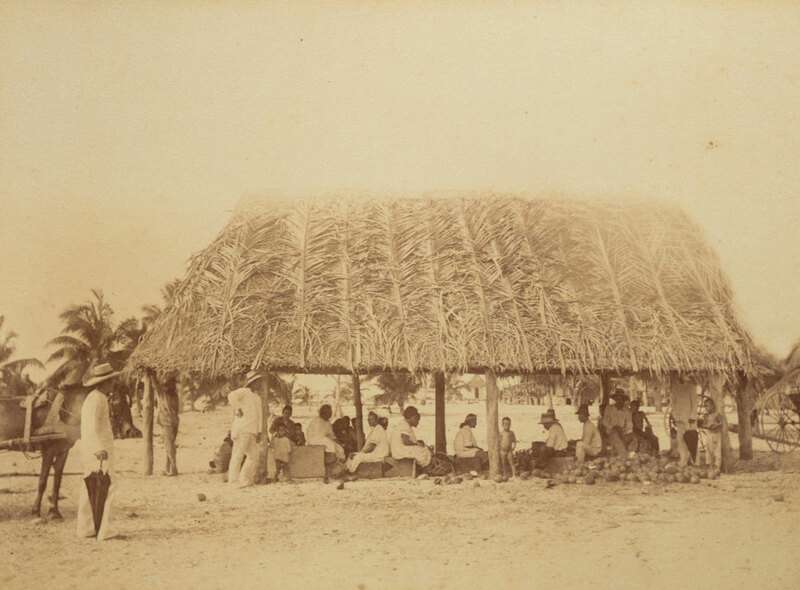 However, through these four rare photographs and Moss’s account, we discover a few things – the presence of men from Tanna, the missionary influence, the European dress styles, and the existence of a coconut trade. 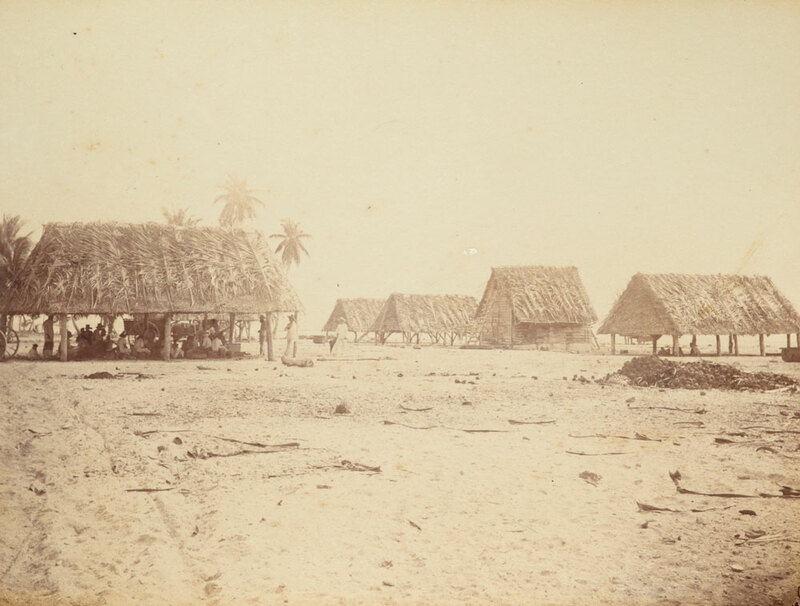 Olohega had long been connected to the other atolls of Tokelau, but in the late 1880s it was connected to Vanuatu, Samoa, New Zealand, and the United States. Hi my name is Monwell Levi from the Torres Straits island community of St Pauls in Australia. My Great Grandfather who came from Rotuma with the name Fred Pedro who had children Moilang, Louisa, Donnie, Napau (my grandfather) Lency, Ruby Belphina. I do apologise for the writer of this column but i am just wanting to see if I have links to the Pedro’s who commented.. I am supposed to be a direct pedro descendant sharing tokeluan blood and the last name any information is much appreciated! Hi Aleksys, thank you for reading the blogpost. Unfortunately, I have no further information about Pedro family. I hope other descendants or researchers who read this blog can guide you some further resources to help you in your search. My grandfather Misikosi Caleb Jennings is my grandfather his father is Eli Jennings can you tell me how many children Eli Jennings or Eli Jennings Jr had. Always was Eli Jennings German but from America?? Hi Kalani, unfortunately I have no further information about the descendants of Eli Jennings. 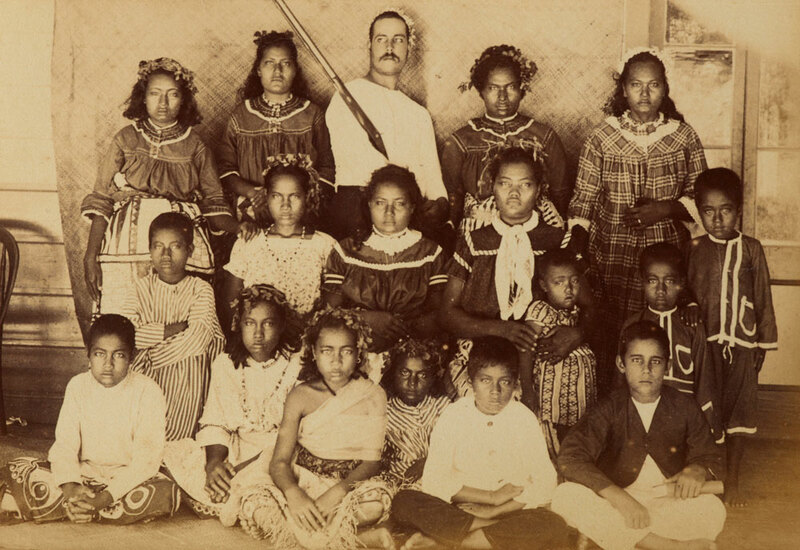 There is mention of Jennings Jnrs descendants on these websites http://www.janeresture.com/tokelau_islands/swains.htm and https://www.geni.com/people/Eli-H-Jennings/6000000019251160188 however, I don’t know what sources this information comes from. Best wishes with your research…. My last name is Pedro as well…..ive been told that swains is our island. There has been feud over the island for years i believe. My auntie would have more specific information. My GGrandfathers brother ,George Napier Jennings, went to tonga in the late 1880”s from New Zealand and lived there until his death. he married twice and had 7 children. Is this man Eli Jennings the same man? Hi Kath, thank you for reading the blog. Eli Jennings and George Napier Jennings don’t appear to be the same man. Eli Jennings senior was an American who moved to Olohega in 1856… a couple of decades before George left New Zealand. You may be aware of that the family history of George Napier Jennings in Tonga is detailed in a book by Yvonne McKissock called “Jennings Family of Tonga”. Please confirm whether the man holding the rifle is John Jose Pedro, who married a Tokelauan Women from Tokelau Island..Can you also let me know the names of the people in the photo? This is to confirm that the man with the rifle is John Jose Pedro my great, great grandfather from Fatima, Lisborn, Portugal. The photo have been confirmed by relatives on my Facebook.com website. If only someone would be able to confirm the rest in the photograph. Thank you! Thank you for your comment Akenehe, I will add your comment to our records. I’m very interested to find out the names of the people in the family portrait. Who is the man posing with the rifle? Are his children among the children in the photograph? Thank you for your question about the blogpost. Unfortunately, I was unable to confirm the identities of the people in the photographs. The only account I am aware of about the voyage is that of Frederick Moss (there is a link to the account in the post). I am hopeful some descendants may be able to help us with some identifications.